Olive oil has been used for generations to honor both God and men. And it is also one of the main components found in Exodus 30 anointing oil—like we see with The King’s Oil. In biblical days an abundance of oil was a sign of prosperity and favor and a lack of oil was one of the many curses for disobedience (Deut 28:40). 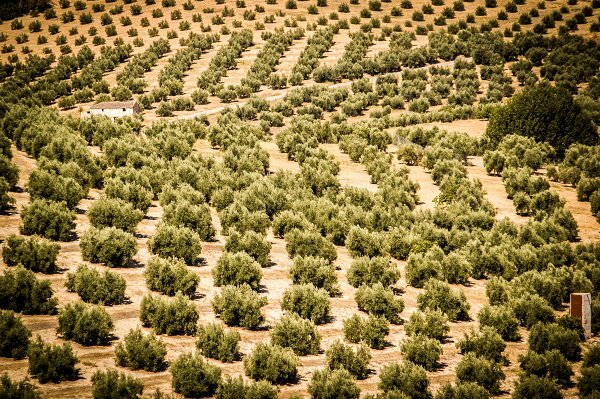 Olive trees and their fruit have long since been an agricultural economy as well as a beautiful symbol of peace and provision. My Olive Tree is honored to be a part of such an amazing industry in Israel that has given us a beautiful and lasting legacy. We are honored to be a part of the restoration of Israel and to be witnesses of the prophecies of Amos and Isaiah coming to pass. For some, My Olive Tree is simply an initiative to plant olive groves in Israel but to us it is so much more. It is a chance for us to join our ancestors and the generations before us by putting our hands and our heart into the soil of the Promise Land and reaping a harvest of promises. 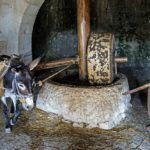 It is amazing to think that even thousands of years ago olive oil was used in biblical times in a very similar way to how it is used today. So many things have changed but very little has changed when it comes to olive oil! 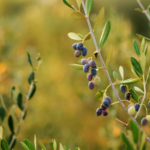 In biblical Israel olive oil was used in food, lamp oil, healing ointment, and in cleansing soaps. Isn’t that a beautiful picture? Olive oil provides us with sustenance, light, healing, and cleansing. There are not very many other commodities that could compare! 7 For the Lord your God is bringing you into a good land, a land of brooks of water, of fountains and springs, that flow out of valleys and hills; 8 a land of wheat and barley, of vines and fig trees and pomegranates, a land of olive oil and honey; 9 a land in which you will eat bread without scarcity, in which you will lack nothing; a land whose stones are iron and out of whose hills you can dig copper.10 When you have eaten and are full, then you shall bless the Lord your God for the good land which He has given you. This oil was prepared by a believing Israeli chemist according to the ancient art of the Biblical apothecary. It has a beautiful fragrance that will fill the air in a similar way to how it once filled the temple in Jerusalem where Jesus worshiped. Although it’s dark appearance and grainy texture is not what one might expect we are excited that the Church is drawing closer and closer to her roots and her heritage as mysteries are revealed about our ancient faith. 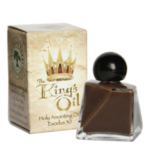 And it is also one of the main components found in Exodus 30 anointing oil—like we see with The King’s Oil. In biblical days an abundance of oil was a sign of prosperity and favor and a lack of oil was one of the many curses for disobedience (Deut 28:40). Olive trees and their fruit have long since been an agricultural economy as well as a beautiful symbol of peace and provision. My Olive Tree is honored to be a part of such an amazing industry in Israel that has given us a beautiful and lasting legacy. We are honored to be a part of the restoration of Israel and to be witnesses of the prophecies of Amos and Isaiah coming to pass. For some, My Olive Tree is simply an initiative to plant olive groves in Israel but to us it is so much more. It is a chance for us to join our ancestors and the generations before us by putting our hands and our heart into the soil of the Promise Land and reaping a harvest of promises.